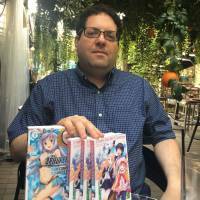 Can Japanese 'light novels' remain publishing heavyweights? Two years ago, light novel publisher Kadokawa added Thailand to its list of foreign publishing investments, which already includes Taiwan, Hong Kong, China, Malaysia and the United States. Now there are signs that English-language readers are catching on.